Download our free Ebook and grow your business! Here at Choc Chip Digital we love empowering local businesses. 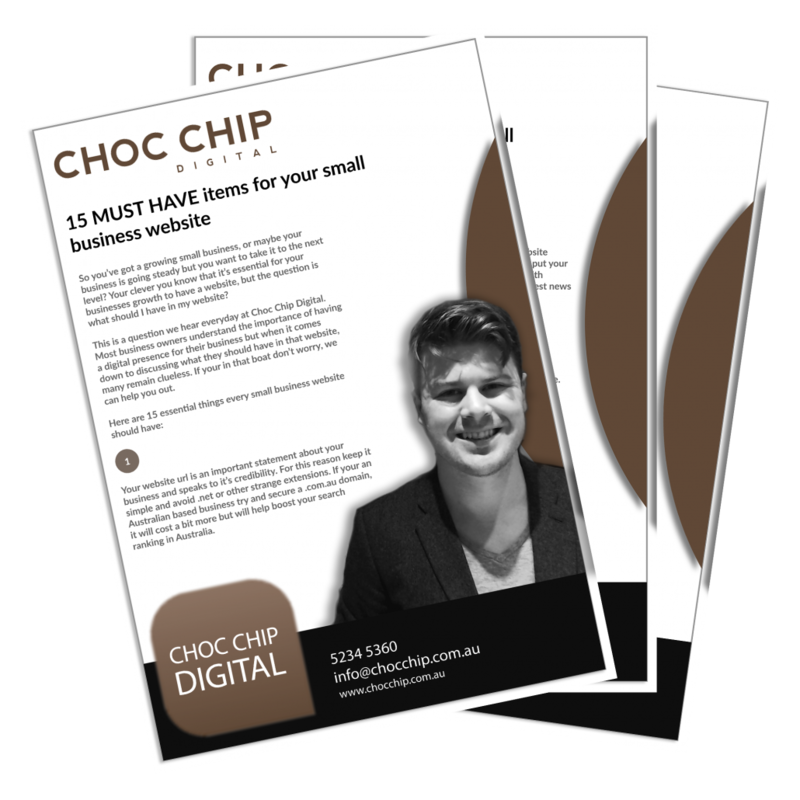 It’s because of this passion that we have developed this ebook ’15 MUST HAVE items for your small business website’. Whether your website is old and outdated, hidden in the deep dark recesses of cyberspace or simply doesn’t have the necessary functionality to draw in new clients, this free ebook will help you get back on track and start getting more business! Simply fill out the form on this page and you will be automatically emailed a copy of the free ebook! Do you want to be followed up?